HTTP over SSL is one of the criteria for Google to put your search result page at the top of the result. 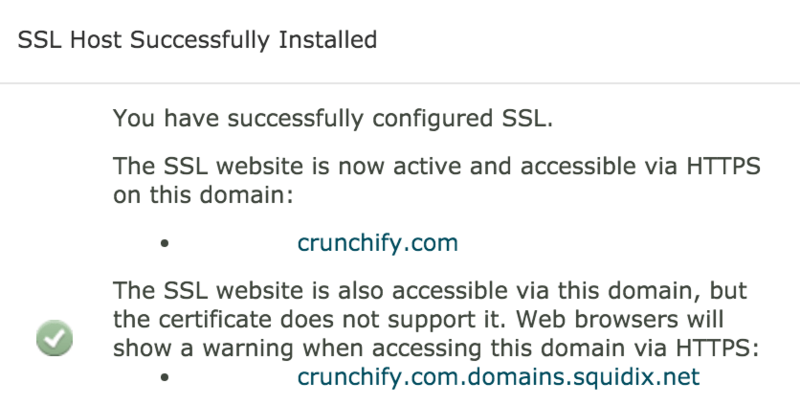 I gave it a try and enabled HTTPS (SSL) on https://crunchify.com. 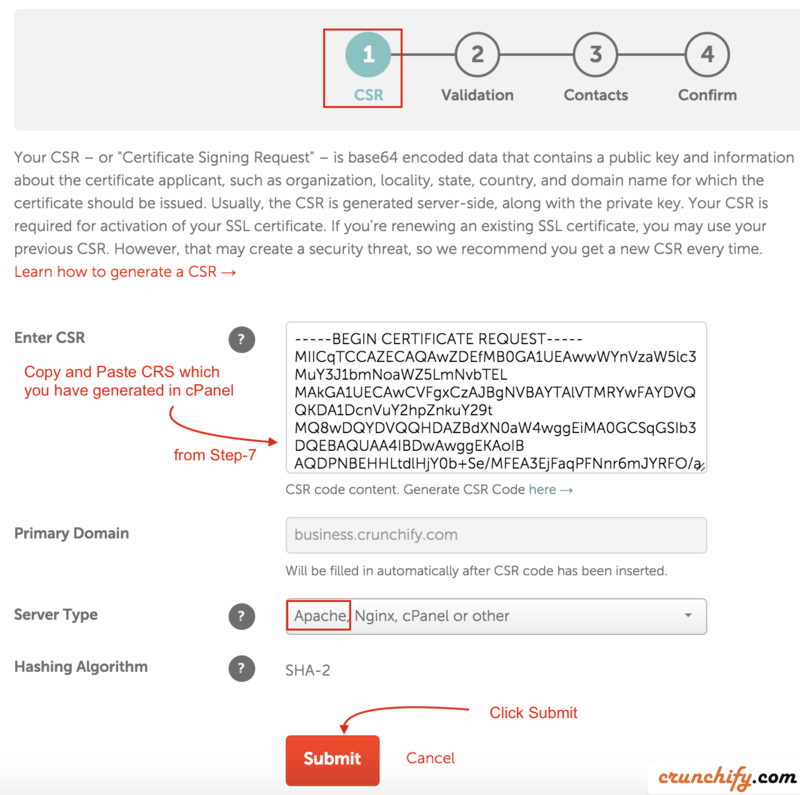 How to configure WordPress Security to use my own private SSL Certificate? 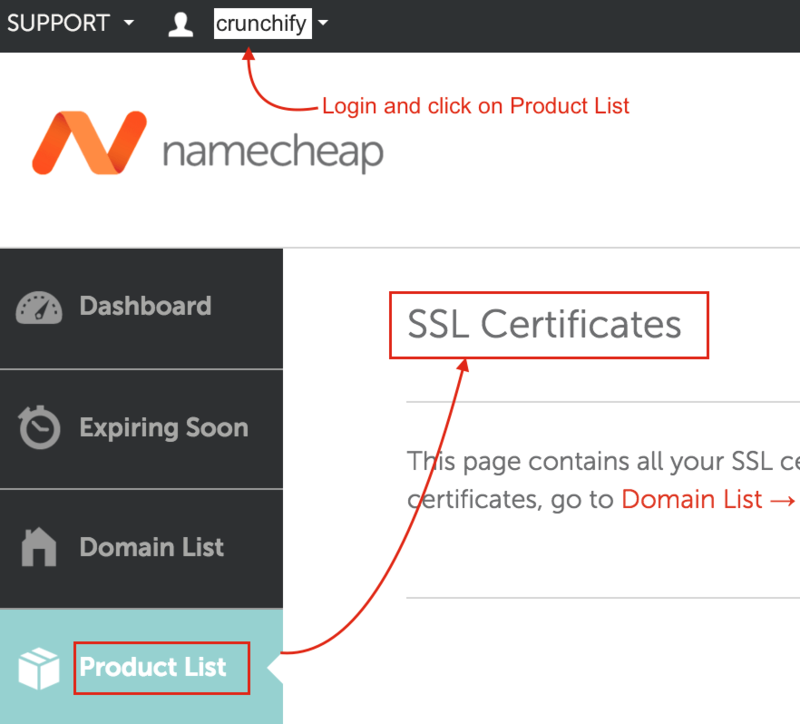 Purchase SSL Certificate. At NameCheap you can get Comodo PositiveSSL Certificate for only $9.00/year. Between I just got it for $1.99 for 1st year. Try to chat with live person and he/she will help you get cert for just $1.99. Login to cPanel. 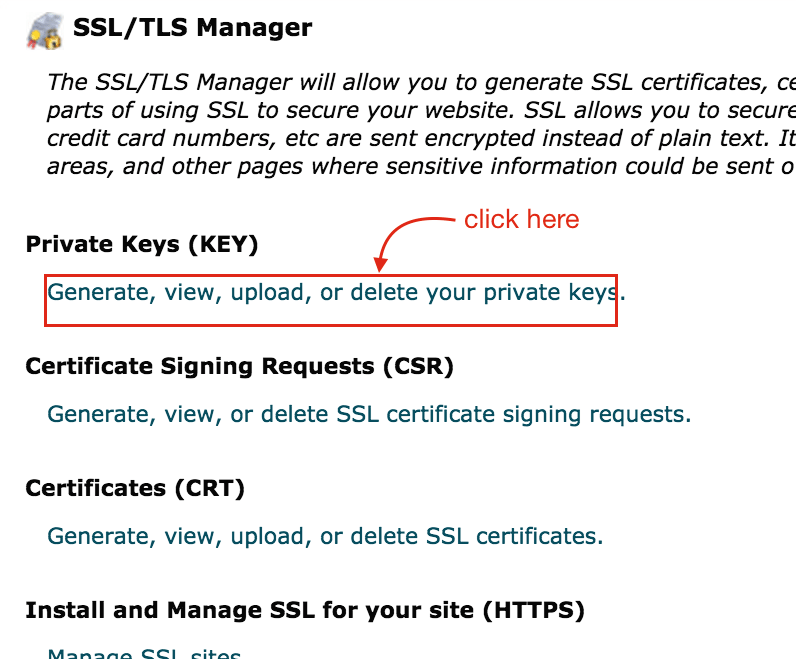 Click on SSL/TLS Manager. 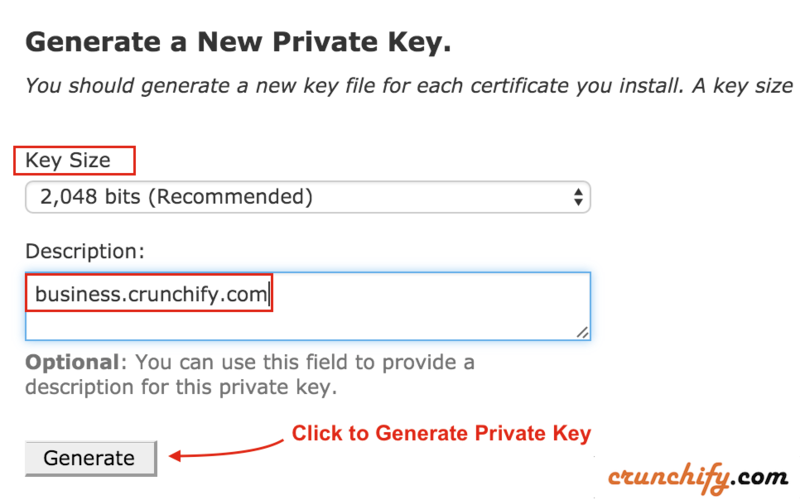 Select Key Size and Provide Description and click Generate new Private Key. 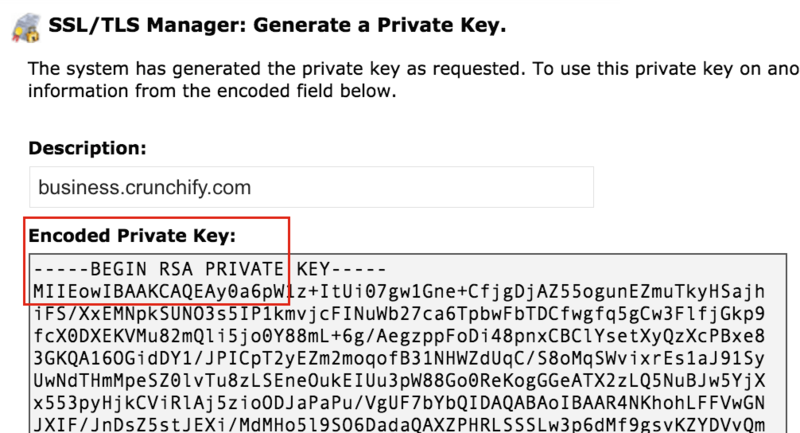 You should be able to see generated Private Key. 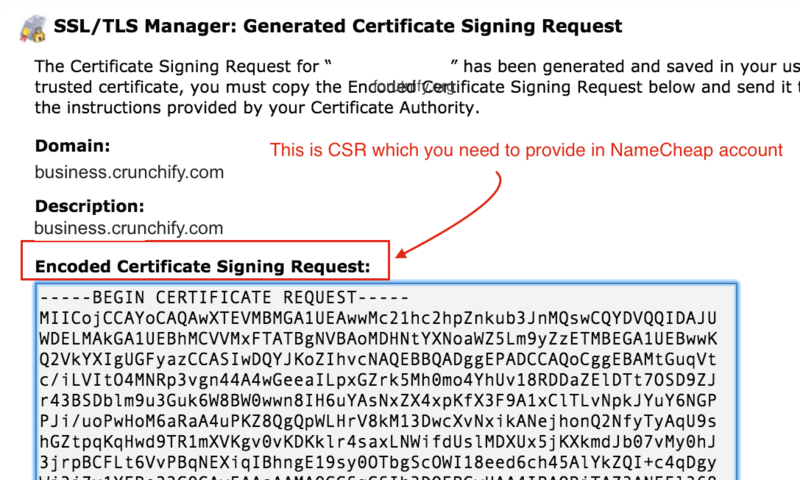 Click on SSL/TLS Manager and click on Generate a New Certificate Signing Request. Provide all mentioned details below and click on Generate. You should be able to see your CSR. Copy that. You need to provide it to your NameCheap account. 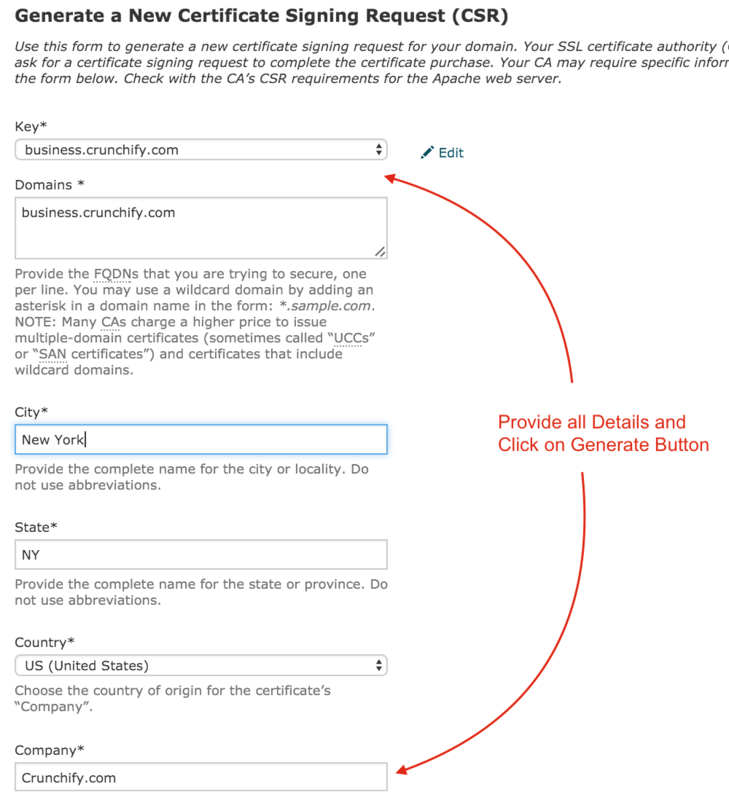 Activate SSL cert by clicking Activate Button. Complete Step 3 and Step 4. 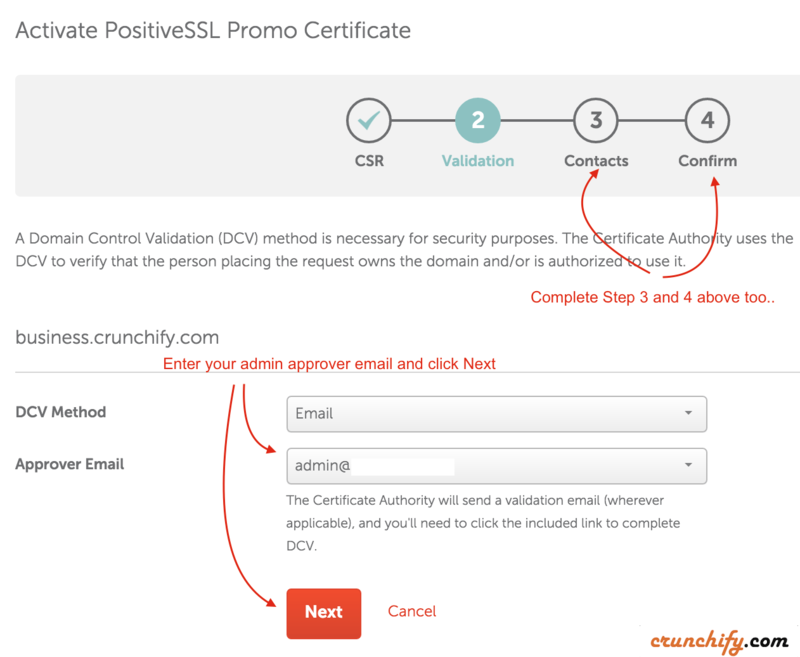 You will receive 1st email for Validation: Follow approval steps and approve your SSL certificate request mentioned in email. 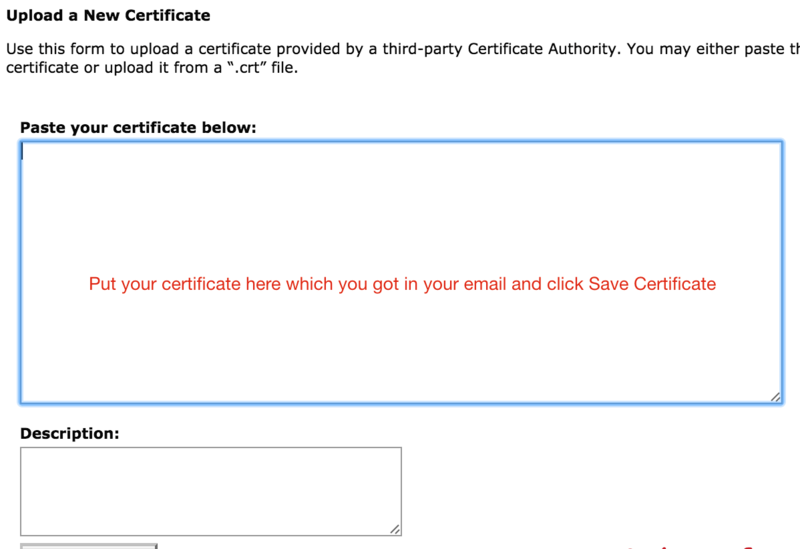 Once approved – you will receive 2nd and 3rd email with your Certificate in that (.zip file). Download .zip file. Extract it and Copy certificate. Once done you will see it uploaded successfully on Server. Checkout screenshot. Now Next Step is to Install it. Just click on Install link which you see in above image. Finally you should see success message. And you are all set. Try visiting your site over https and you should see green padlock in browser.